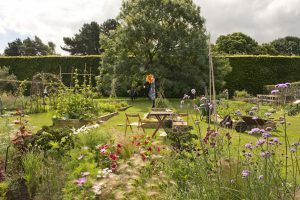 We’ve been kept up to date about the about the exciting Botanic Cottage project happening in the Demonstration Garden at the Botanics by Community Engagement Coordinator Sutherland Forsyth here. The work is moving fast and it is great to see the building starting to take shape. Anyone who has visited the site will have seen that there are changes afoot in the surrounding garden too. We’re working to make the Demonstration Garden an even more engaging space for more people of all ages. We plan to improve access, increase growing space and add new features to this area. New trees and hedges are being planted, and new plots and paths are being laid. Plans are still evolving but we have started to put in some features. We are currently in the process of planting a timeline of cordon apple trees that will flank the path to the front door of the cottage. The trees will represent a timeline of Scottish varieties and will replace the Tsuga hedge that has already been removed. Varieties include Hawthornden, first recorded in 1780 and James Grieve, originally bred in Edinburgh in 1893. The plans for the garden have very much been designed to help us grow and expand our successful education and community programmes. Students involved with our schools programme, HND Horticulture with Plantsmanship and Herbology courses will continue to grow in the area along with participants in the Edible Gardening Project. 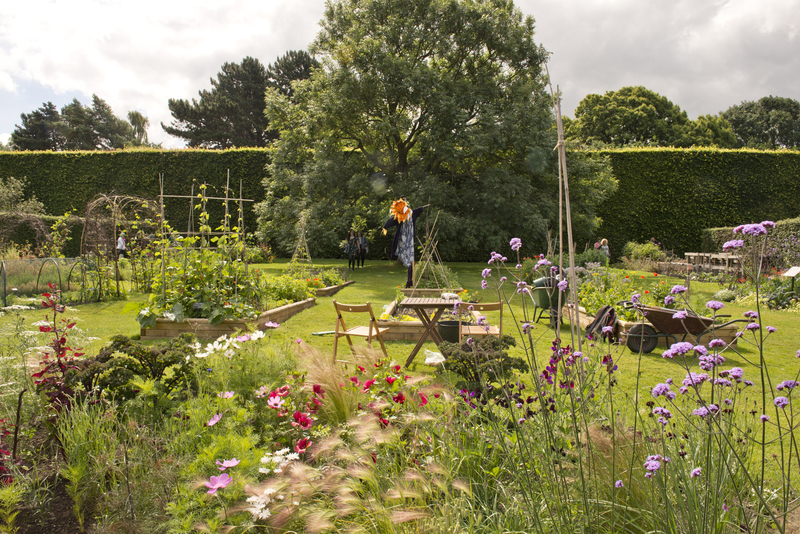 Our plans will give even more people the opportunity to experience hands on activities in the garden.